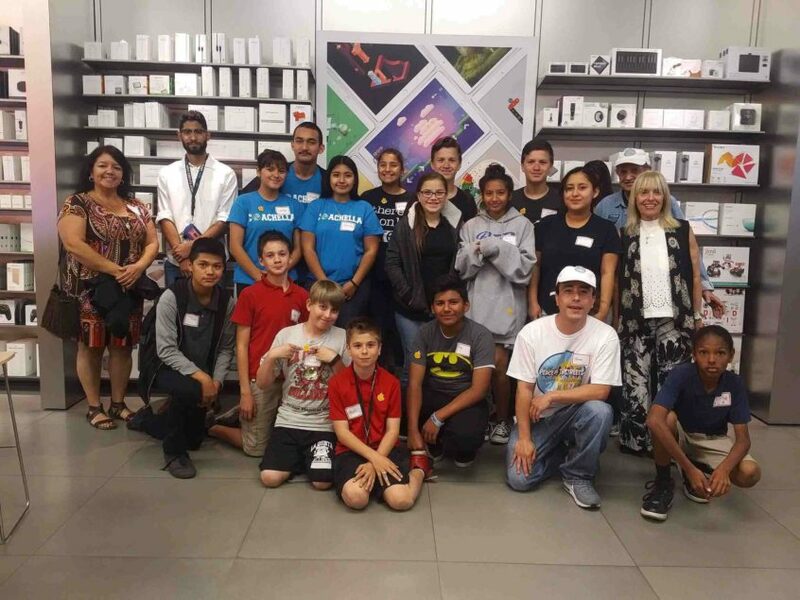 We are Grateful to the Apple Store in Coachella Valley for supporting the Peacemakers in teaching youth how to create videos for our upcoming Peace in the Streets Global Film Festival. The youth had an AMAZING time learning and creating and the boys and girls club staff enjoyed themselves as well. Omar Tapia our graduate and staff, along with Carole Krechman CEO and her husband Sheldon Krechman all had a wonderful time. Thank you Apple for this learning experience and willingness to collaborate with the Boys and Girls Club and The Peacemaker Corps!